I was recently asked how to create Citrix policies with PowerShell and I must admit that it took me some time to figure it out. If you search for solutions you get only a few hints on how to do it. The best hint came from Ingmar Verheij (https://www.ingmarverheij.com/set-citrix-policies-via-powershell/) but things changed a little but with the latest XenApp and XenDesktop versions. Why should we use PowerShell to create Citrix Policies? Lets start with some words why you should use PowerShell and why you should use Citrix Policies without setting them by Group Policy. PowerShell gives us the possibility to create baseline policies for a whole bunch of customers and you can parameterize your installations or you can recreate your homelab automatically. And… processing local policies should be much faster (I will recheck that argument shortly by comparing the logon duration between locally set Citrix Policies and GPOs). When using System Center Configuration Manager sometimes managed devices disappear from the Console. 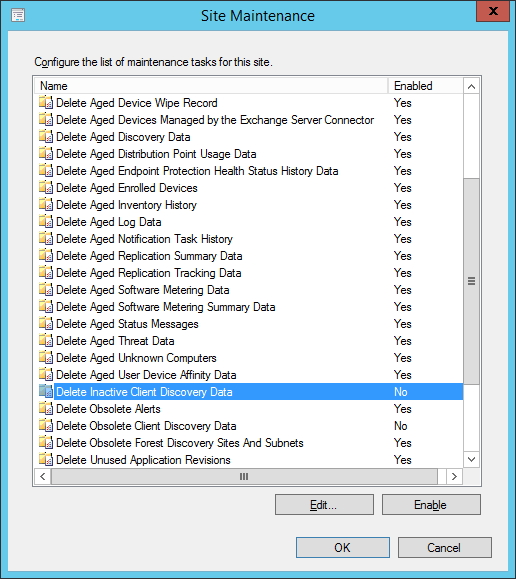 These devices may still be in use und therefore should not be deleted, but continue to be managed via SCCM. The disappearance is controlled by a concealed option within the Site Maintenance of SCCM. 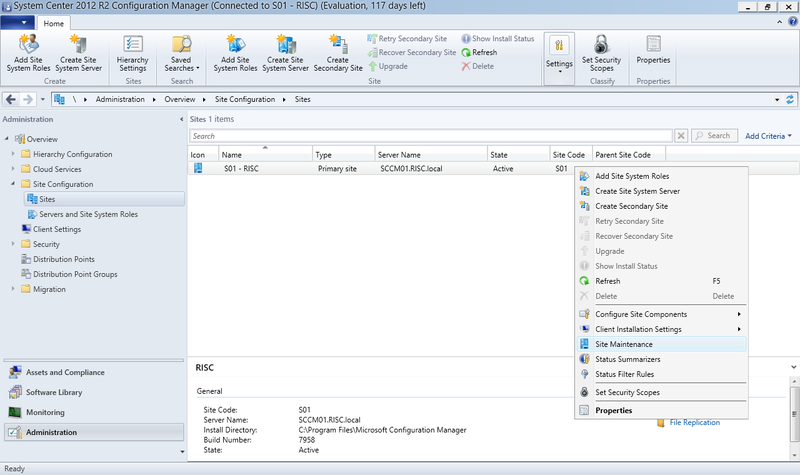 The Site Maintenance Options in the SCCM Console can be found at Administration -> Site Configuration -> Sites. Right click on the Site and select “Site Maintenance”. 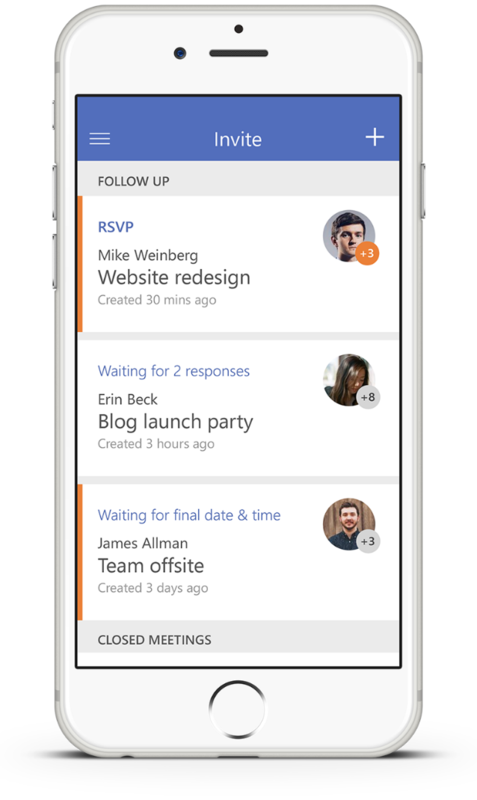 Here are several Maintenance Tasks that can be activated and will start actions in defined periods. 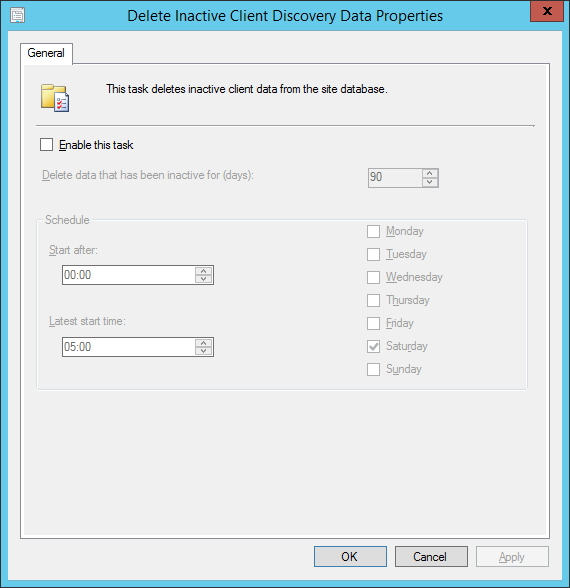 The task “Delete Inactive Client Discovery Data” will delete inactive Devices after a defined number of days. Standard setting for this task is “deactivated” and when activated the period is 90 days. Before setting this option you should think about the usage of your devices. Sometimes field workers or simply colleagues on holidays can easily be more then three or four weeks offline before connecting to the network again. In these cases the period should not be set to low. About inactive devices: A device will be set inactive if it does not communicate with the SCCM server anymore. The communication can be Heartbeat, System or Network Discovery. A corresponding Microsoft TechNet article can be found here: https://technet.microsoft.com/en-us/library/bb693646.aspx (article is for SCCM 2007, but is still valid for SCCM 2012). I hope this helps during the next troubleshooting.